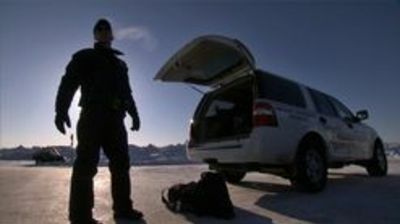 Winter has seized Alaska, and Trooper Timothy Cronin gets a chilling call sounding like a domestic violence situation involving a chainsaw. But to get to this rural area, Trooper Cronin has to navigate through record snowfall. Then, Trooper Howie Peterson is greeted by a man at a cabin with a 15-inch knife and a rifle. Finally, Trooper Anne Sears responds to a crime against a village public safety officer and has to fly in unpredictable weather. Time to bring the rifles.